4th generation Apple iPad is the latest series of the iPad series. Having a dimension of 9:50 x 7:31 x 0:37 inches, iPad 4 has been equipped with the chipset Apple A6X and Dual Core processor, 1400 MHz - the latest Apple Swift. The tablet comes with iOS 6 operating system, making it easier for users to operate the features of Apple and also a variety of applications that can be downloaded through the Apple Apps Store. The tablet has a PowerVR SGX 554 graphics processor and capacitive screen - Multi-touch width of 9.70 inches with a resolution of 2048 x 1536 pixels and 264 ppi pixel desity. Equipped with a camera of 5 megapixels - F2.4 aperture size with functionality Back-illuminated sensor (BSI), Auto Focus, Touch to Focus, Face Detection, Geo Tagging. 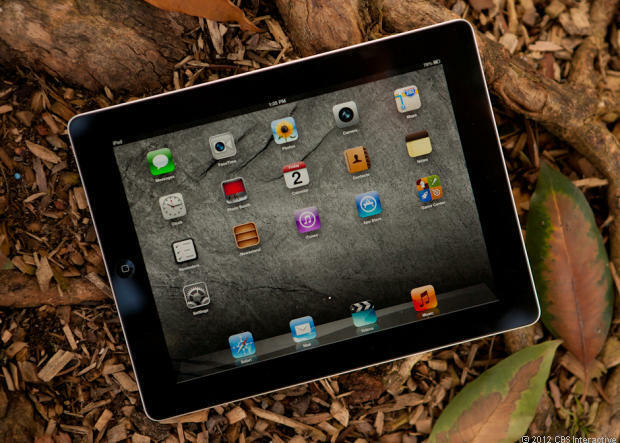 To get the iPad 4, Apple membanderol prices ranging from USD499 to USD699. You have finished reading Apple iPad (4th generation) and many articles about Tech Gallery in our blog this, please read it. and url link of this article is https://littlebitjohnny.blogspot.com/2012/12/apple-ipad-4th-generation.html Hopefully discussion articles on provide more knowledge about the world of new tech gadgets.